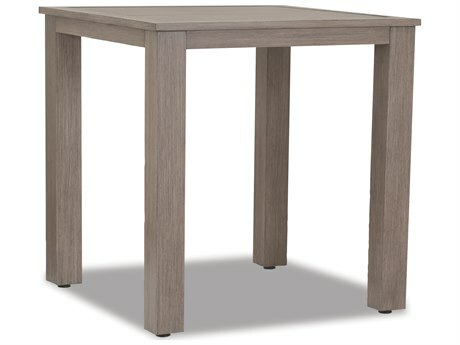 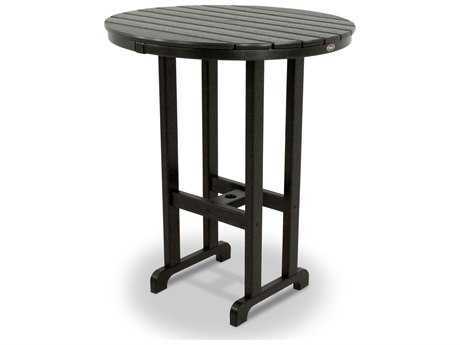 Patio bar tables feature a tall, slim base and tabletop measuring close to adult waist height. 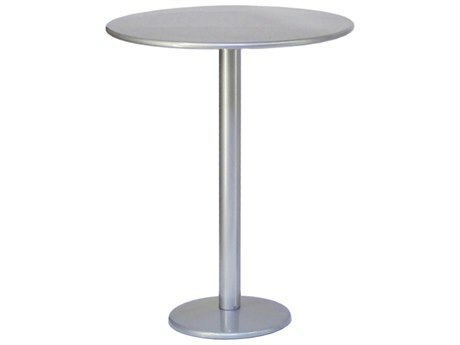 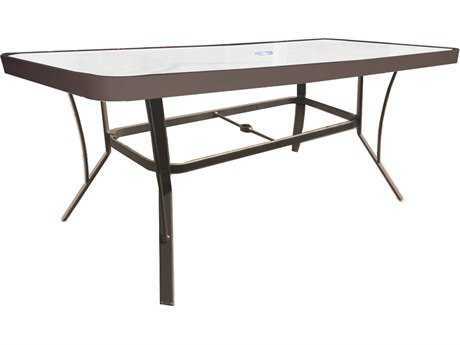 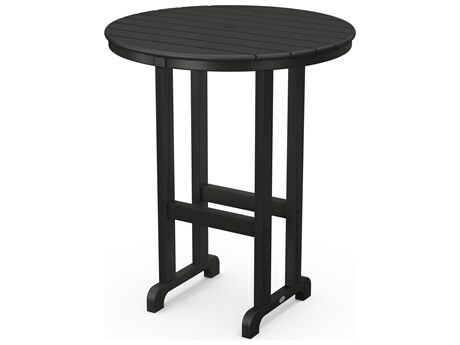 An outdoor bar table is suited to accommodate standing adults and are relatively small in diameter. 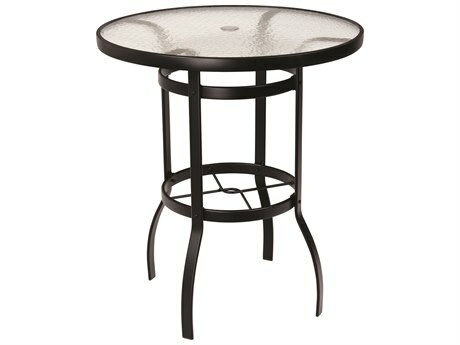 An outdoor bar table generally contributes to a casual atmosphere, but can also be styled formally. 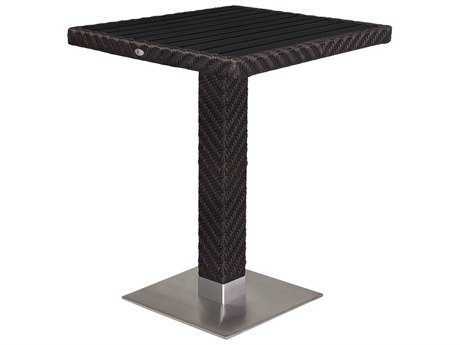 An outdoor patio bar table can carry various aesthetic appearances and design traits. 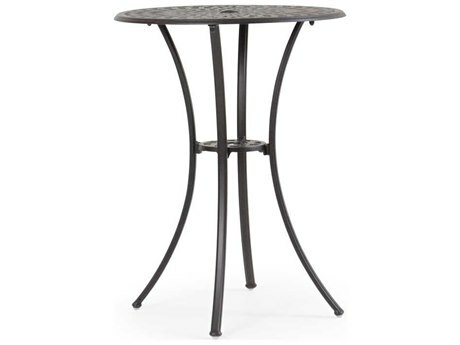 A patio bar table can function well in both commercial and private settings, and their sleek and understated stature makes them easy to incorporate into nearly any patio furniture arrangement. 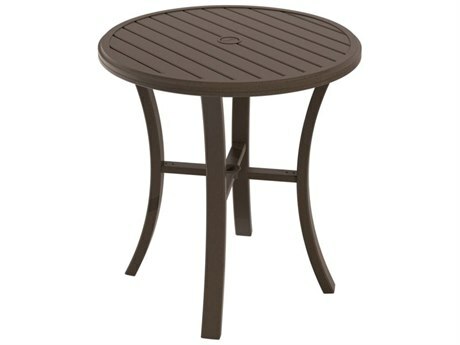 Available styles range from traditional to modern, and PatioLiving carries a wide selection from several outdoor brands. 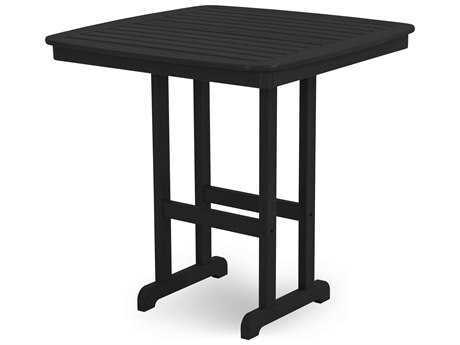 Outdoor patio bar tables represent a versatile and contemporary furnishing that performs well in almost any outdoor space. 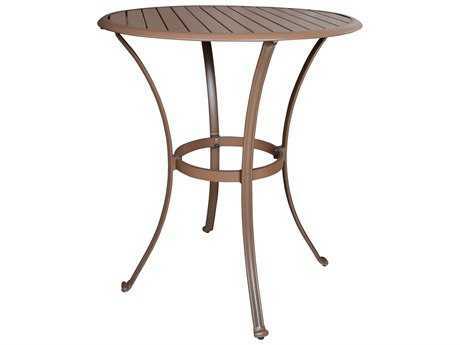 These bar-height outdoor tables create an atmosphere of relaxed entertainment and modern sensibility. 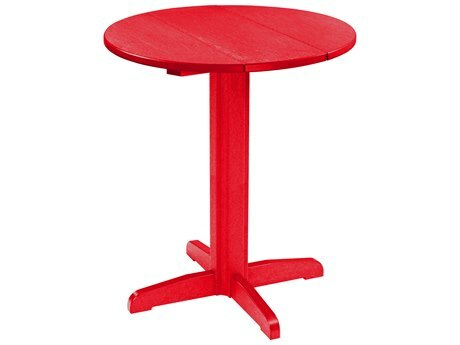 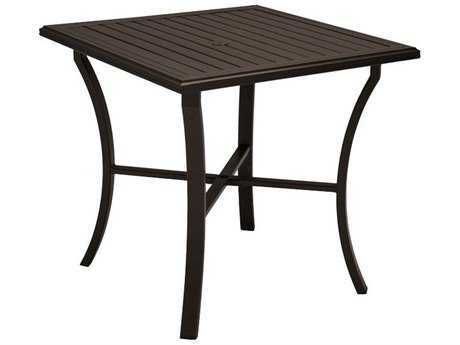 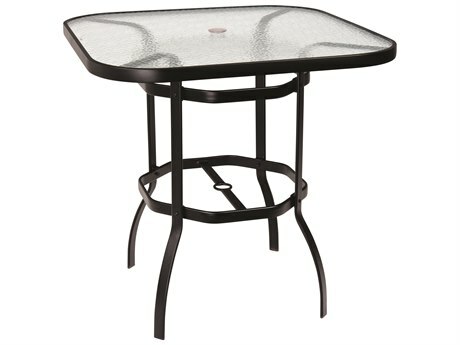 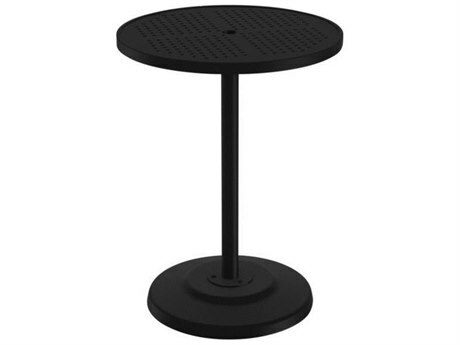 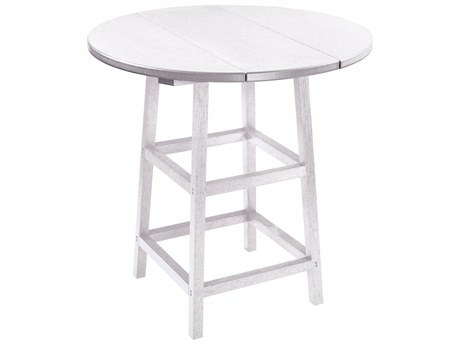 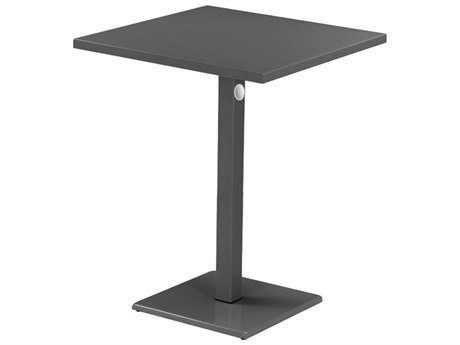 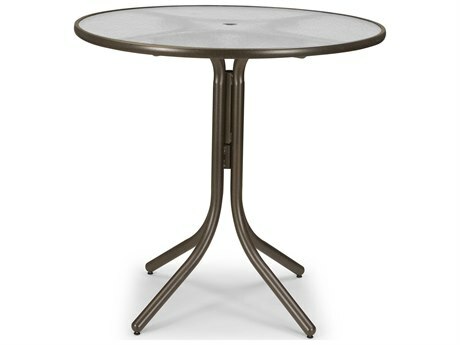 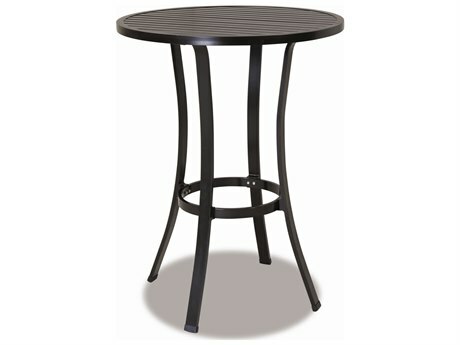 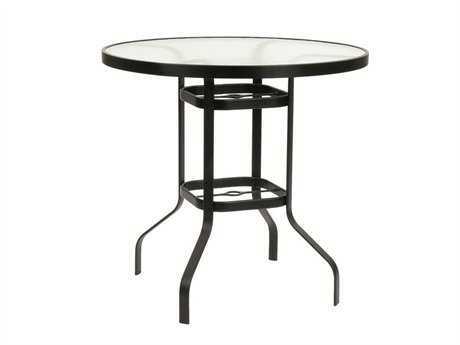 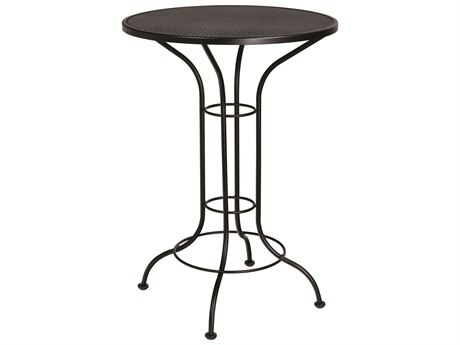 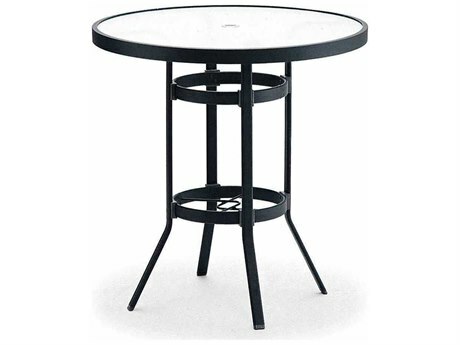 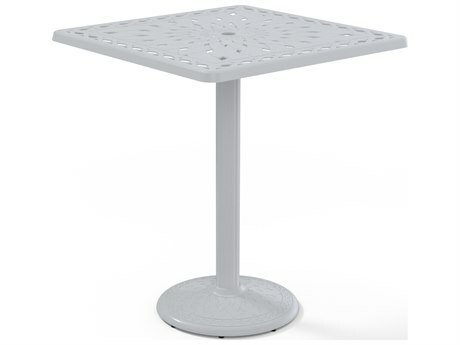 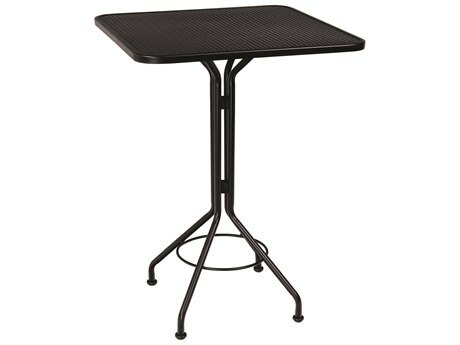 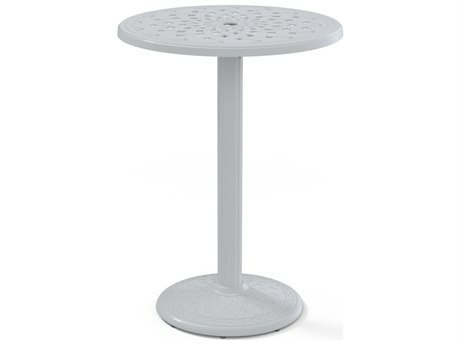 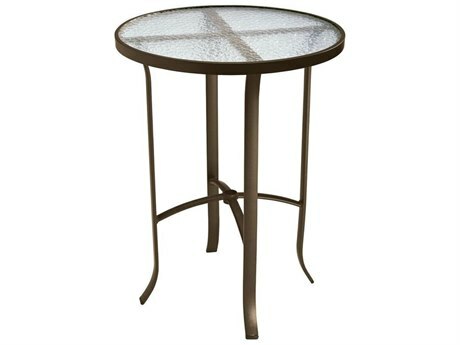 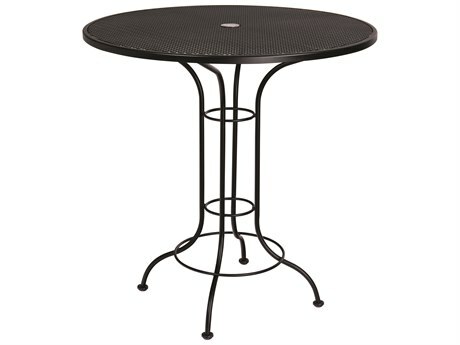 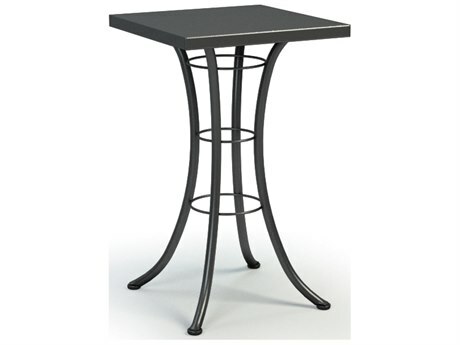 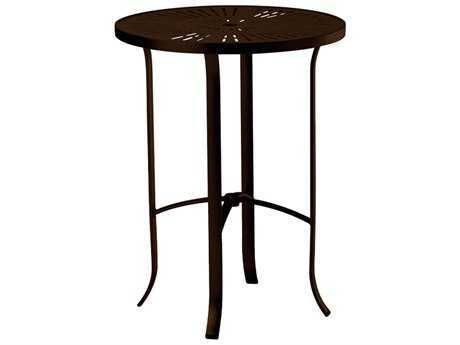 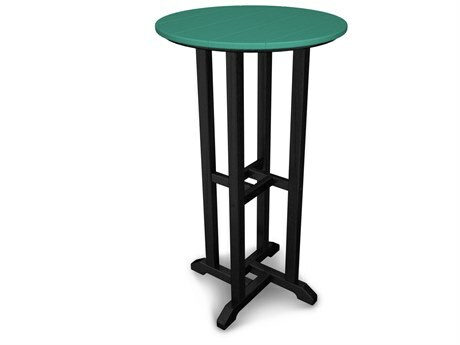 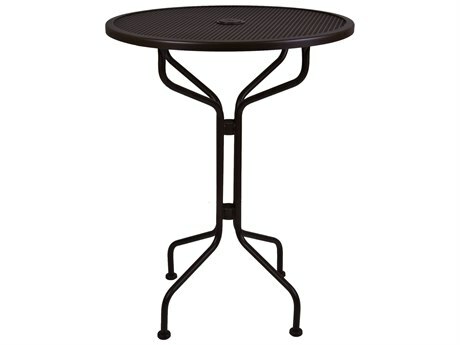 Circular and square models are generally sized between 24" and 42", making these bar height patio tables appropriate for small spaces such as small balconies, or where fully-sized dining tables will not fit. 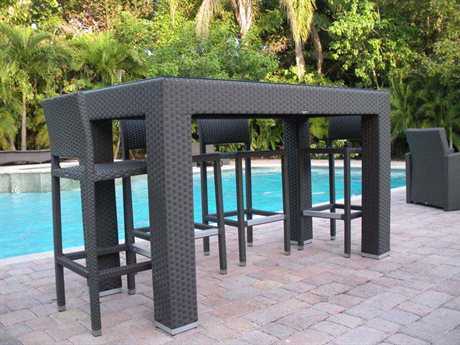 Rectangular and oblong styles are also available, which can accommodate additional seating. 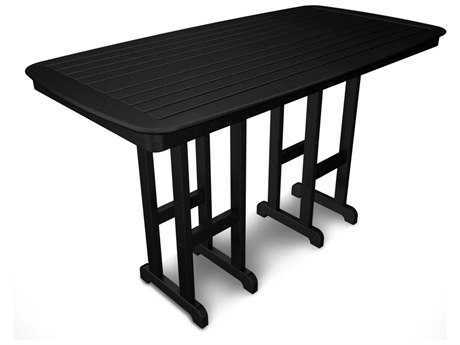 Select models feature integrated footrest bars and umbrella holes, providing options for additional comfort and functionality. 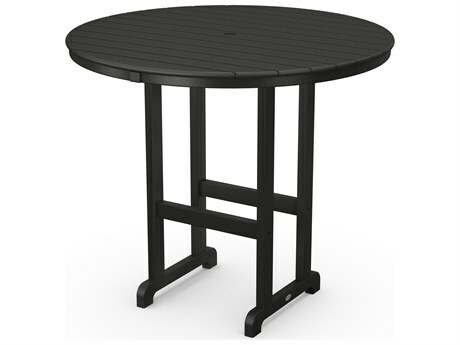 To contend with brisk winds and in light of their narrow build, many outdoor patio bar tables feature footed ends to remain sturdy in inclement weather. 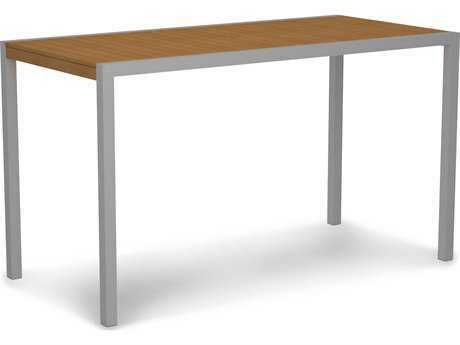 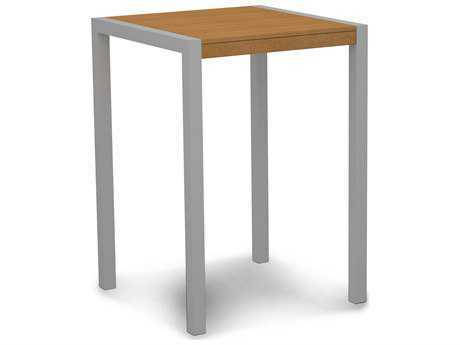 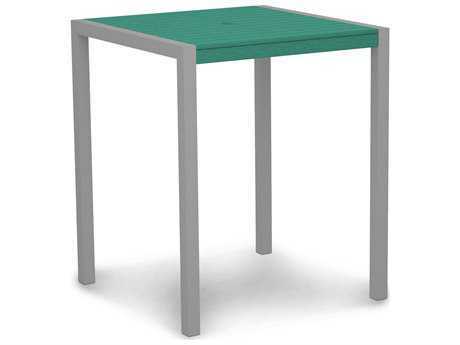 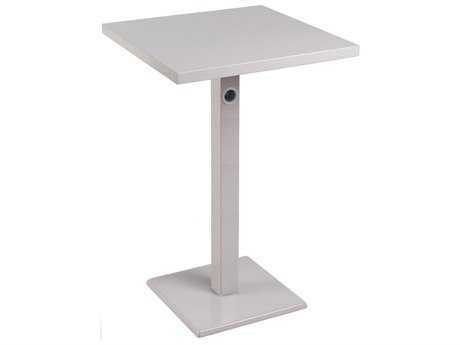 These tables are manufactured from a variety of premium materials including aluminum, cast aluminum, teak, recycled plastic, wicker, and steel. 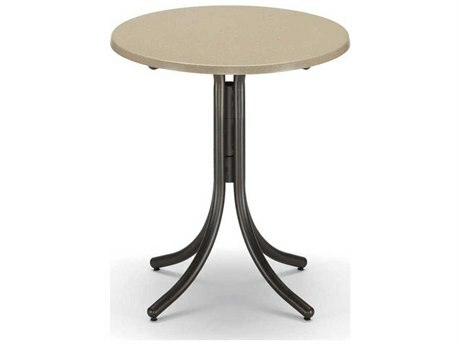 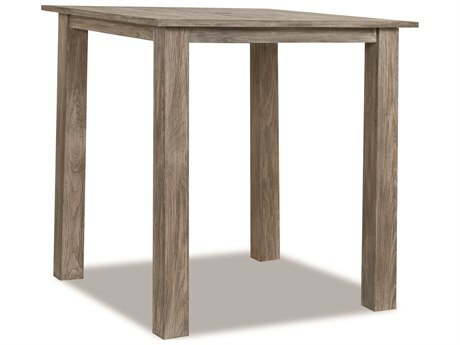 Most tables are graded for durability and resilience to the effects of damaging outdoor elements. 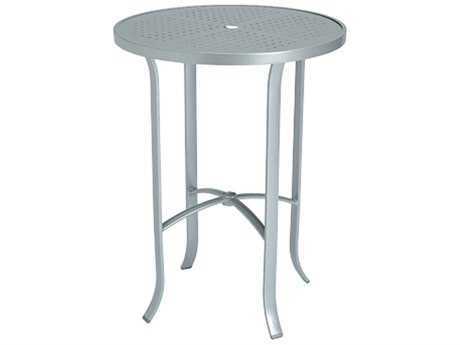 Patio bar height tables can be styled in a multitude of ways to achieve distinct functions and looks. 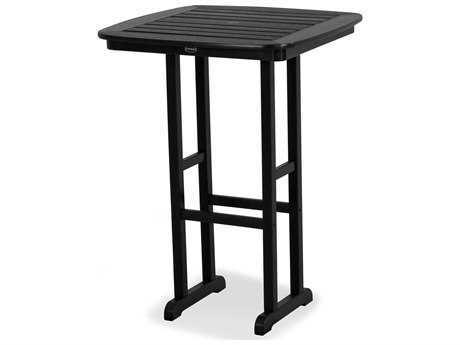 When arranged with two or more bar stools, a bar table can function as a contemporary, casual alternative to a full-sized dining table. 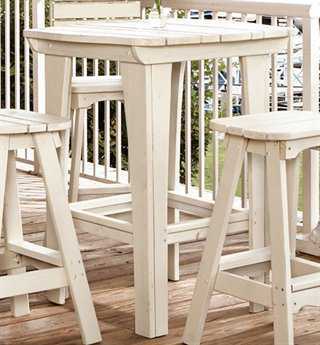 These types of tables also pair well with outdoor bars. 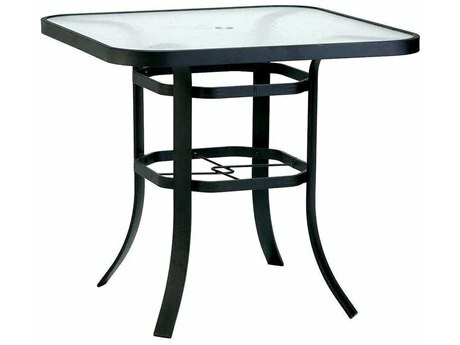 Especially when entertaining a large number of people, a bar height outdoor table or high top outdoor table can give guests additional spaces to gather, converse, and enjoy beverages in a separate space from the crowded bar. 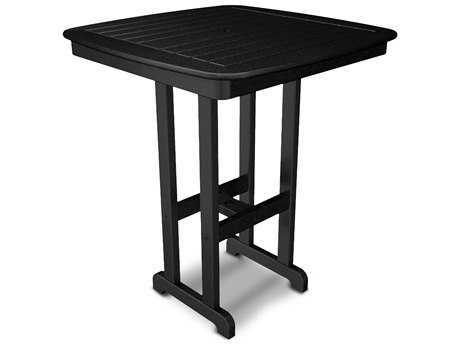 Ready to buy your very own outdoor patio bar table? 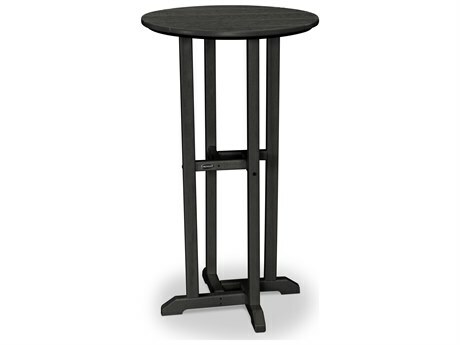 Reference our Buying Guide for more product details and material information!